Did you know that wine is not only delicious but (in moderation) also a real health booster? 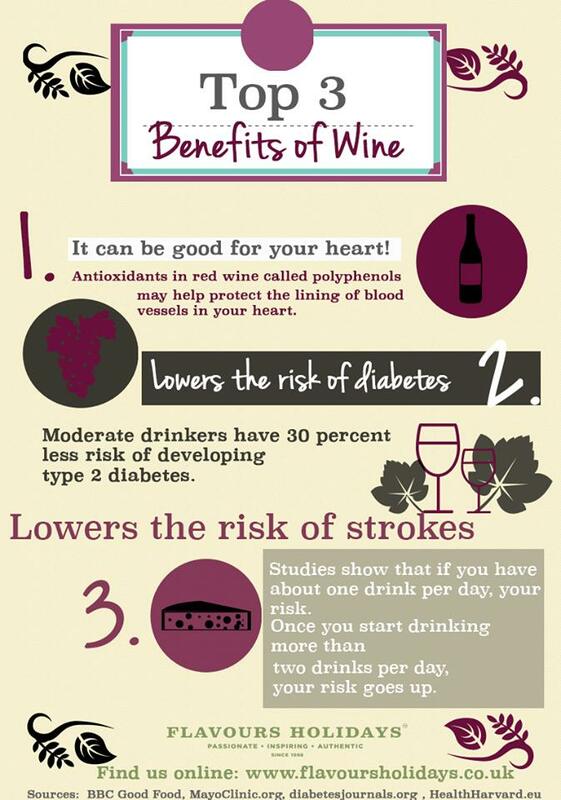 Here are our top 3 benefits of wine! We can now enjoy our favourite Italian wines without worry – just remember always in moderation. Saluti! Would you like to enjoy a glass of wine while looking out over the beautiful Italian landscapes? Flavours Holidays have cookery holidays this April to Tuscany, short break to Tuscany, Sicily and Amalfi. Or feel free to contact our team to discuss other holidays.